Light changes everything. Just ask a cinematographer. Romy Schneider dans l’Enfer. Stunning lighting test for the 1964 unifinished movie “L’Enfer” by Henri-Georges Clouzot. Mesmerising. Many of you have remarked how my photography work reminds them of oil paintings by the old masters. I always take these remarks as the greatest of compliments because I have a deep love of painting and painters and have spent many years studying, in detail, how they handle light and composition to create their masterpieces. In fact, I would highly recommend that any aspiring photographer take a course in life drawing, painting and/or the history of art to improve their photographic skills. Learning how to “see” is essential to mastering any visual medium, and the old masters were masterful at understanding how light and composition combine to create sublime imagery: photography is no different. 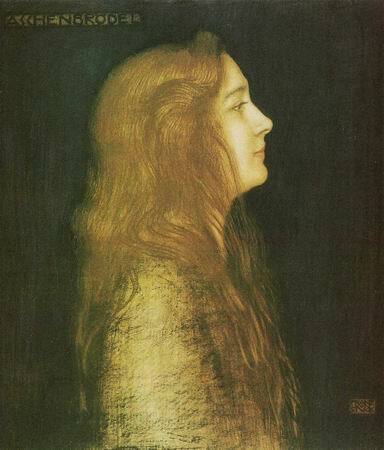 One painter that I am particularly interested in at the moment, is the German Symbolist and Art Nouveau artist, Franz Von Stuck (1863-1928). I admire his draughtsmanship and dramatic use of light. I am particularly enamoured with his rather formal portrait work; beautiful profiles with ornate textural clothing. 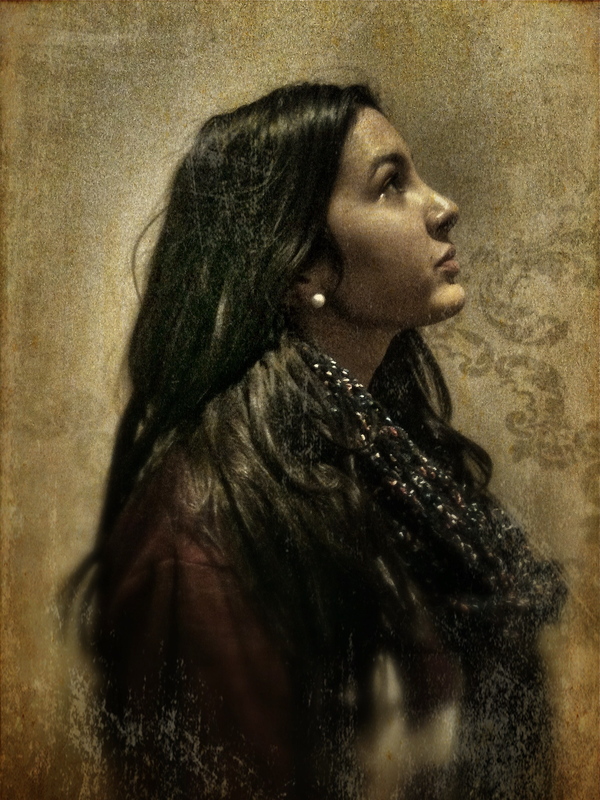 The portrait above, of my niece Ashling, is heavily influenced by Von Stuck’s approach to light and composition. Below, is a painting by Von Stuck, called, Cinderella. The Symbolists were heavily influenced by mythology and romanticism; a perfect theme to portray the emerging beauty of my niece.